Fortune Teller - Play the classic 30-line NetEnt slot game free here online! Recently, in the lots0cash office, we were lamenting how quickly the films of our youth had aged and, how it had happened to a lot of quality slot games too. One of the office juniors claimed the only manufacturer this hadn’t happened to was NetEnt. After a long argument over the Excalibur slot possibly falling into that category, we threw him the old Fortune Teller slot and considered it job done. However, in the process, we played the game again for the first time in several years and it reminded us, despite not being up there with the top modern NetEnt releases that even their original titles are still better than a lot of the offerings from other manufacturers today. The Fortune Teller slot had, and still has, all the ingredients of a great slot game. A quality theme, plenty of action, double bonus features and some novelty entertainment. I’d much rather be playing this than other old games such as say, Cool Diamonds or Book of Ra (Yes, I said it). If this was a new RTG or Rival slot we’d no doubt be singing its praises so, let’s give you the run down on this classic slot. We can’t see into the future like tarot card readers but, we can visit slot gaming history with a full review of the Fortune Teller slot from NetEnt. In the early days most NetEnt slots were payline games and so it is with Fortune Teller. You get up to 30 lines, adjustable right down to one if you like. It’s here you note the big improvement NetEnt have made with their control menu. Everything on Fortune Teller has to be adjusted one click at a time, you can’t nudge up or down on number of lines, bet size or coin value. You don’t get that on a lot of other games of course but, players of recent NetEnt titles might find the old controls a little maddening. The Fortune Teller slot also doesn’t have the great RTP that current NetEnt games are famous for. It’s just over 93% which, whilst better than many games at a land based casino is far from the 97% on something like the Blood Suckers 2 sequel. Even with a low volatility level that weak RTP does mean bankroll management is likely to be a key part of your strategy. Fortunately, the auto spin feature contains all the current options to assist with that. So, despite a few niggles you can essentially select your bet size and spin away as normal, we would recommend looking at the paytable first as NetEnt tried to get it all on one screen and it is a touch cluttered even on desktop devices. Fortune telling, or predicting the future at the least, seems like a pretty good fit for online slot gaming. Let’s face it, how many times have you sat on a slot wondering whether to quit whilst you are ahead? All the time wondering if a free spins bonus game or jackpot is just around the corner! The Fortune Teller on this slot is a dark and slightly sultry gipsy character. You’ll find her caravan, crystal ball, black cat and other clichés of the genre all over the pay table and reels. There’s a haunting little music piece in the background, not over the top, almost intimate and it ties in the theme very well. The same can be said of the reel audio which sounds like someone shaking dice or knuckle bones before casting them! The entertainment on the slot is needed frankly as that low volatility and poor RTP really make themselves felt in the base game. Lots of small three of a kind wins are the order of the day. In fact, given only the top two symbols carry big rewards you really need to trigger a bonus feature or – hit the wilds in sequence. 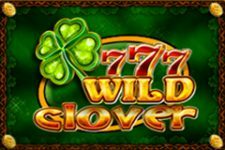 The reason for the latter is a mini jackpot of 7500 coins for lining up all five wilds on an active pay-line. This does add some anticipation to the game as you are always aware that could hit on any spin. Given the lacklustre base game you might be wondering where the win potential is on the Fortune Teller slot? Well, don’t worry, she isn’t a fraud – this game really can impact the future thanks to its two bonus features which you can win at the same time. 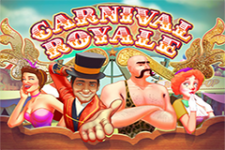 The route to a big win on the Fortune Teller slot is by triggering the free spins feature first. Three or more scatters open up a generous twelve free spins with a 3x multiplier. They are re-triggerable too and at any time, collecting more than 3 bonus symbols on a pay-line will open up the tarot card bonus. 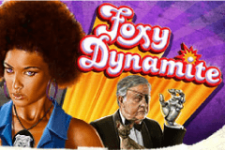 This is essentially a mini scratch game within the free spins game that generally pays out between 4x and 10x the bet. 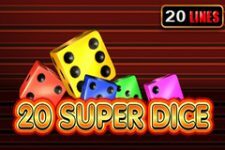 Not much we admit, and you won’t be shouting about it in the base game but, when you add it into a free spins game it can add up to a very solid overall bonus. Low volatility games are designed for long play sessions, mostly for players on small bankrolls. That means they need to be very entertaining. Sadly, even with an epic free spins feature, Fortune Teller is showing its age against the massive number of great new titles out there. Short of a remake, we’d probably recommend other slots in the NetEnt range for free play slots fun.